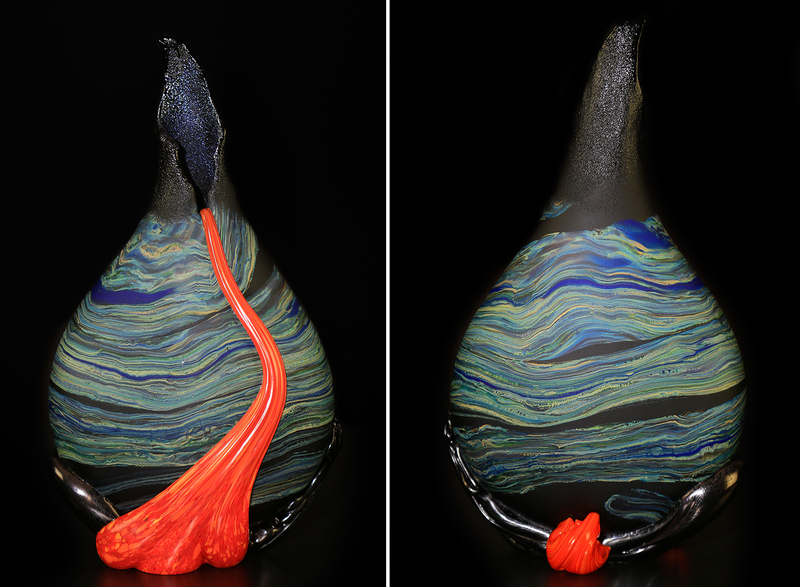 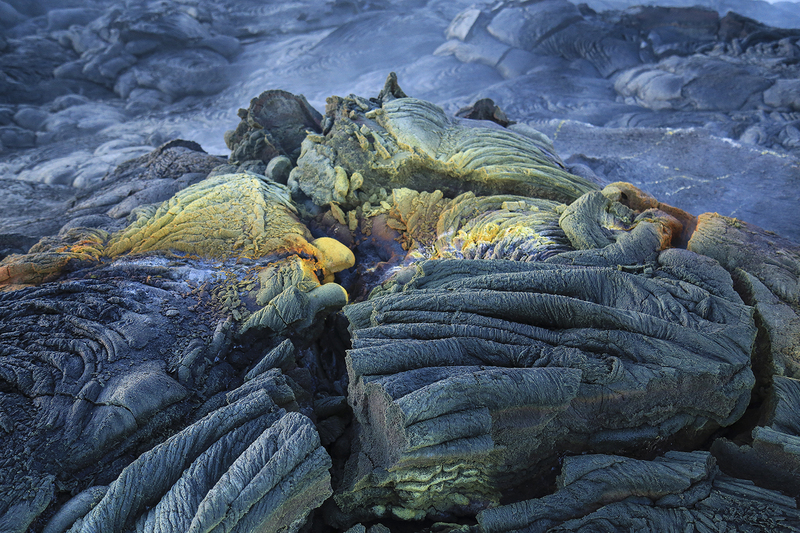 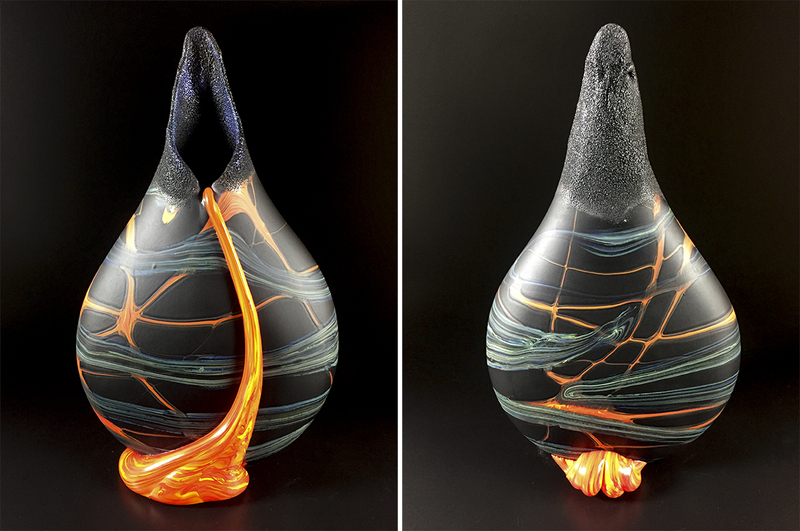 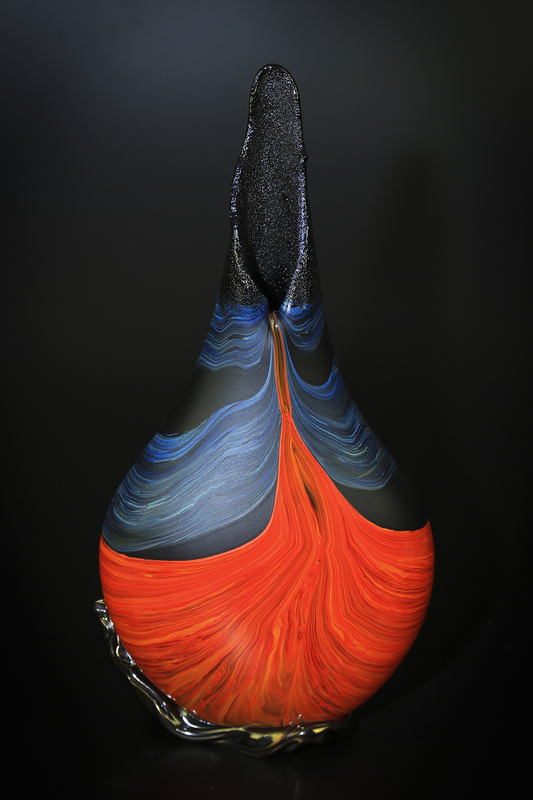 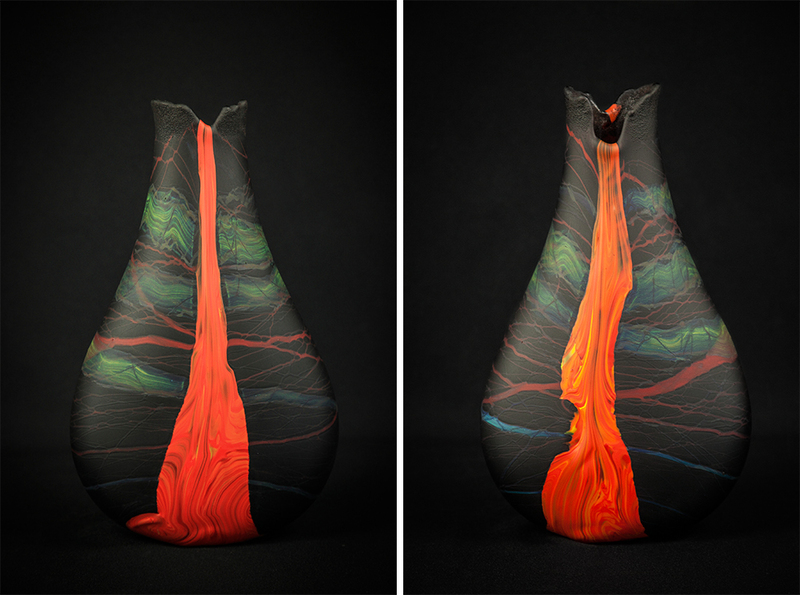 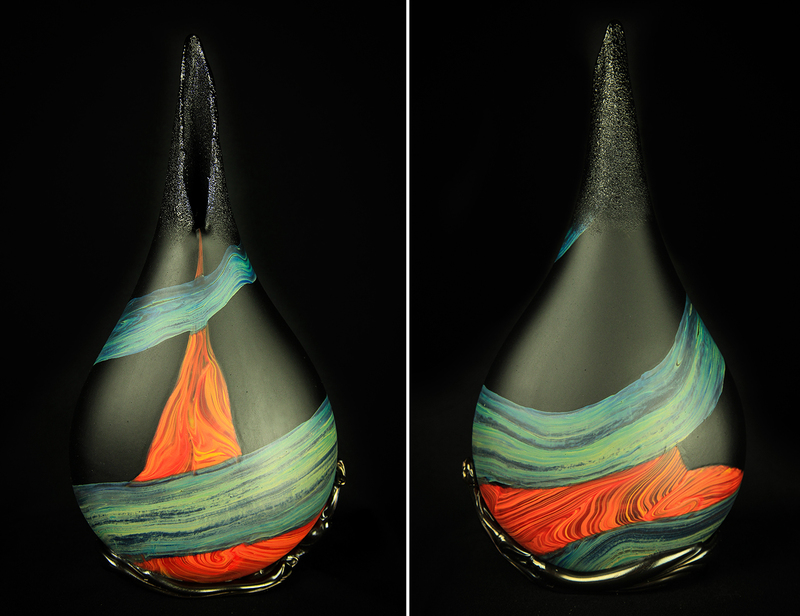 The Kilauea Inversion vase represents the atmospheric inversion layer effect, when the temperature inverts and the cold air is on the ground while the warm air is aloft. 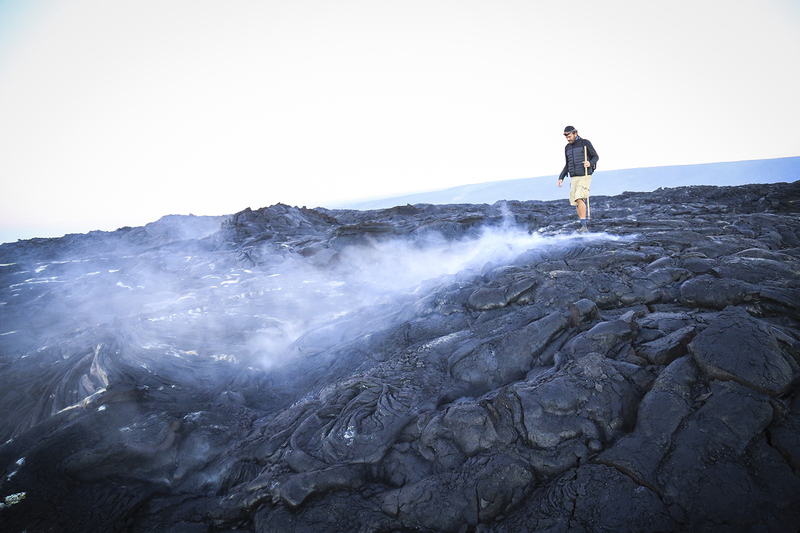 This traps the volcanic smoke near the ground creating a layer of “vog” in low lying areas. 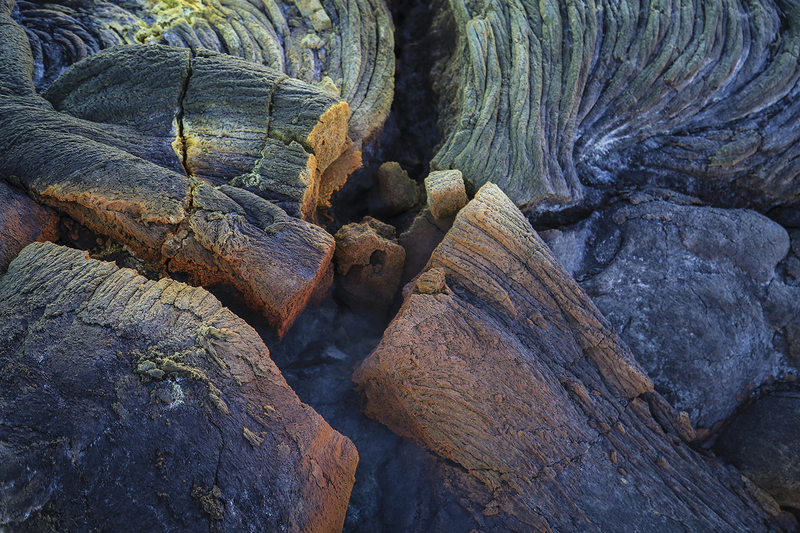 When illuminated by the the red volcanic glow, this can create quite a beautiful and awe-inspiring effect.